Obviously, the most important debate of the year. 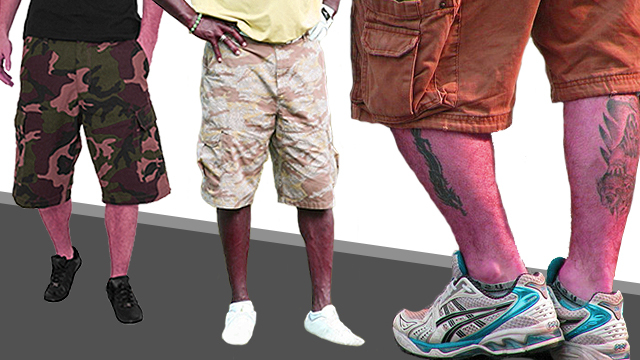 For the past few weeks, we've been bombarded with articles telling us to stop wearing cargo shorts. But no matter how hard we try to understand their reasoning, we always end up asking, "Come on, fashion article writers, what the hell is wrong with cargo shorts?" THE GIRLS THAT ARE OKAY WITH IT...BUT ONLY IF YOU HAVE "RIPPED MUSCLES"